I will take the first part of the “Certified Bilingual Secretary” certification exam next Saturday. … Yes, this is the Certificate I would like to have. Half of people would fail on the first attempt. 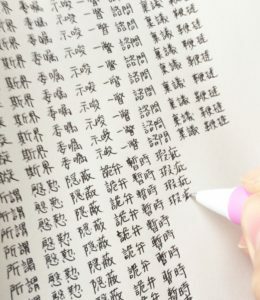 In Japanese, nouns and stems of adjectives, verbs, and some adverbs are written in Chinese characters called “Kanji”. This means that you will need to learn Chinese characters to be able to read most of the words in the language. 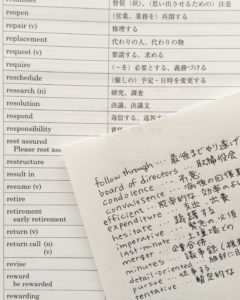 Especially we are using computers and smart phones which automatically converts hiragana characters into relevant kanji. Still, learning is fun and there are many opportunities to write the beautiful hand-writing letters in Japanese. I will not stop learning difficult kanjis!